The Back Roads & Main Streets Bicycle Tour is an 8-day, 4-state, 300-mile, inn-to-inn exploration of western New England's exceptional cycling, scenic landscapes, charming small towns and vibrant little cities. 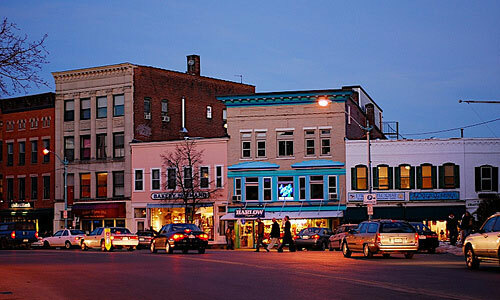 Beginning and ending in one of America's most creative small cities, Northampton, Massachusetts, the tour travels through southern Vermont, eastern New York and northern Connecticut on a roundabout journey through this historic and scenic region. We'll be staying in hotels and inns in explorable little communities each night. With average days of only 50-miles, the tour offers riders plenty of time to linger at scenic and cultural sites along the way and roam through the towns after your ride. 7 nights lodging in inns or hotels Saturday, August 10th thru Friday, August 17th. Breakfasts and dinners each day. Marked 4-state route, daily cue sheet, plus GPS route files. Mechanical support on route and at overnight locations. Entrance to special group museum tours and other activities. Registration is open for the 2019 tour. The Back Roads and Main Streets Tour is limited to twelve (12) riders! Register early for this exceptional New England bike tour. Our group will gather in Western Massachusetts' creativity center - Northampton to meet fellow riders, explore the vibrant Main Street and enjoy dinner at one of the many downtown restaurants. Riders will be staying at the Fairfield Inn in Northampton on Saturday night and leaving cars there until we return to Northampton on August 11th. Today, we ride north along the Connecticut River Scenic Byway and other rural roadways as we travel 48 miles to Brattleboro, VT. The generally flat route experiences more tractors than traffic and offers frequent views of New England's longest river and the abundant farmlands along its banks. Along the way you'll see the evidence of more than three centuries of settlement and growth as you travel through communities like Historic Deerfield, a museum celebrating one of the valley's earliest settlements and Turners Falls, a 19th century water-powered mill town. Our overnight tonight is at the charming Latchis Hotel on Main St. in Brattleboro, VT. Each room in the lovingly-restored art deco hotel is uniquely decorated and offers a unique view of downtown. We'll walk to dinner at a nearby restaurant. On Monday we begin heading west as we climb into the Green Mountains, the backbone of southern Vermont. Our 52-mile route follows the quiet road along the tumbling Green River as we head toward the village of Jacksonville, VT. Then we'll roll along scenic VT. 100 as we climb to the highest point of the tour - 2,495 feet above sea level. 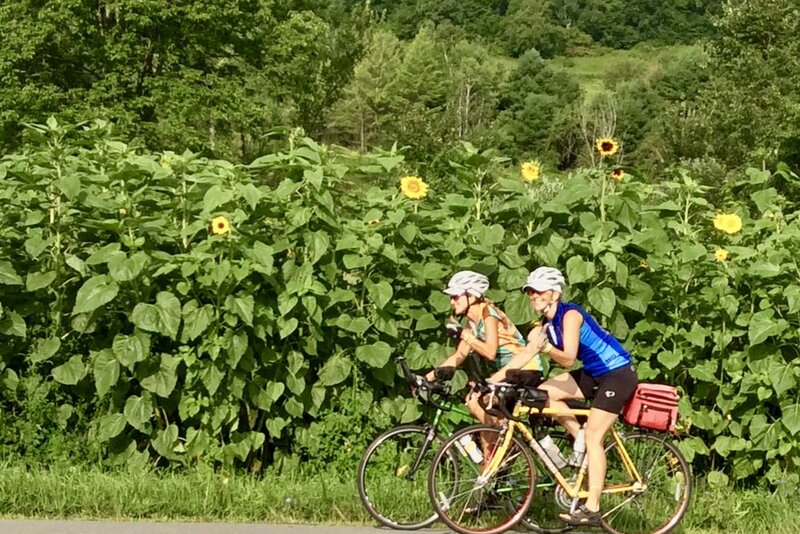 You'll have earned the nearly 18-mile descent you'll enjoy as you cruise into Bennington, VT. River's Edge Cycling staff will be on hand to provide rest stops and mechanical, and van support. Tonight, we'll stay at the Paradise Inn in charming Bennington, VT.
which is considered a turning point in the Revolutionary War. Stop to experience the 3-state view from the 306 foot tall tower. The Paradise Inn, is less than a mile from the monument. Today's ride is 62 miles, the longest of the tour. We'll slip into the valleys of the Hoosac and Little Hoosac Rivers as we roll through small towns and the scenic farmlands of eastern New York. We'll cross back into Massachusetts near Lebanon Springs, New York and pass Hancock Shaker Village, a scenic museum celebrating the Shaker community that lived here between 1780 and 1959. A visit here will be one of our rest day tour options on Thursday. Our destination tonight is the famous Red Lion Inn in Stockbridge. You've covered nearly 200 miles in the last four days! You deserve a day off the bike to explore some of the Berkshires's wonderful museums like the Norman Rockwell Museum or Hancock Shaker Village. You can also choose to get your bike out and explore some of the beautiful southern Berkshire bike routes nearby. Stockbridge is a charming town though and you should schedule time to explore its shops and sights and maybe spend a little time rocking on the front porch of this lovely inn. Back on our bikes today as we depart the Berkshires and travel south through Monument Valley towards Connecticut. We'll climb about 800 feet in the first 15 miles before descending for over thirty miles into Avon, CT. That's right, 30 miles! 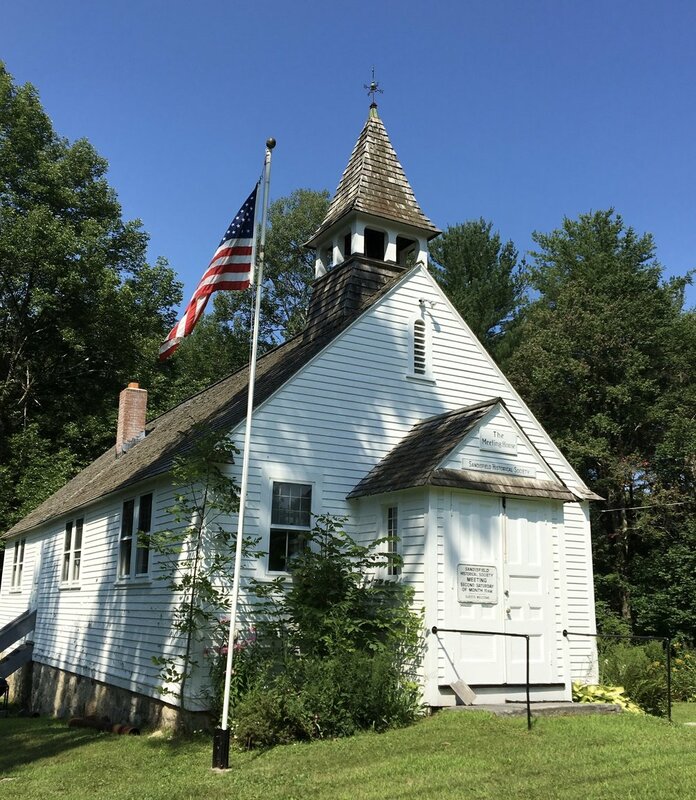 Northern Connecticut is full of beautiful forests, tumbling rivers and charming little communities like Colebrook and Riverton and our route to Avon shows off many of them. Avon is another lovely community with a collection of shops and places to visit. Or, relax by the pool at tonight's hotel, the Residence Inn, in the heart of this vibrant community. We'll celebrate our final night on the road with dinner at the First and Last Tavern a short walk from the hotel. Today we ride 41 miles back to Northampton. It will be a relaxing ride since most of our route today will be along the Farmington Valley bike path and other bike paths branching out from Northampton. You'll see lots of evidence of the old railway lines that existed here into the 1980's. 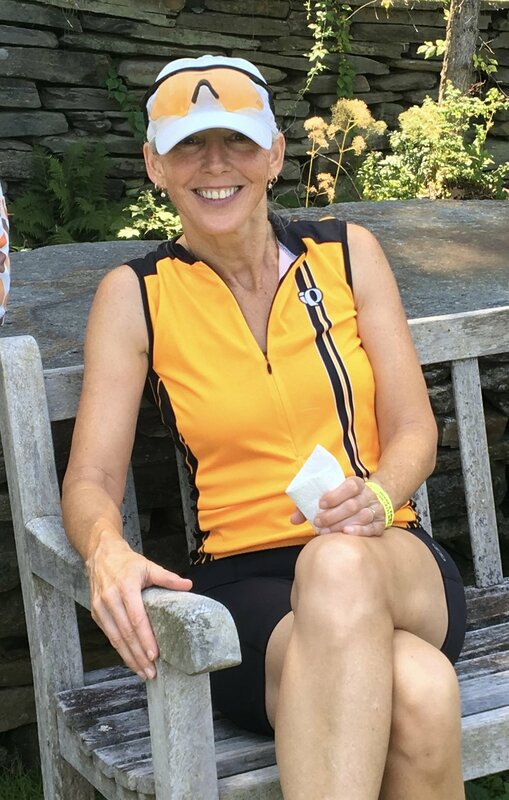 Today, they are wonderful cycling and walking corridors between Connecticut and Massachusetts. Today's flat and largely car-free riding will get you back into Northampton early in the day to begin your travels home. 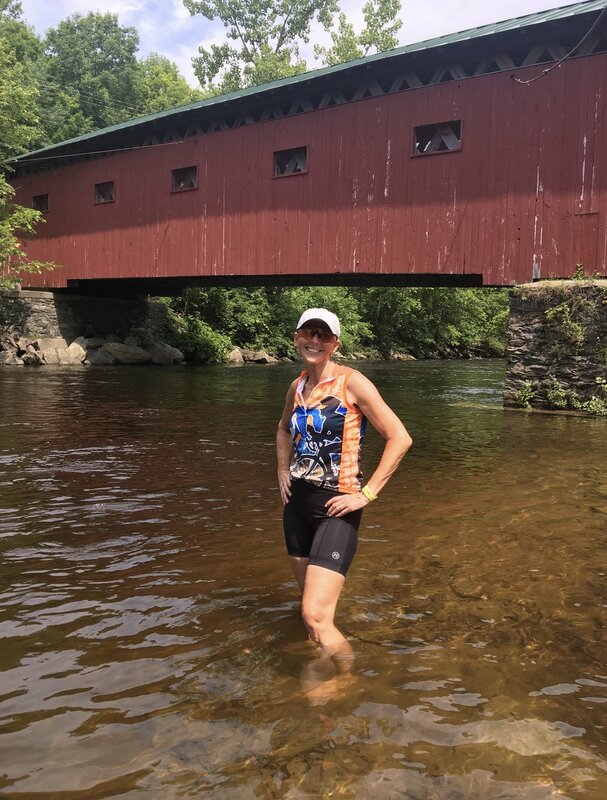 Explore our route through Massachusetts, Vermont, New York and Connecticut.